Home Child Protection Programme For whom to we work? In this context we have opted to work for the children and adolescents whose vulnerability calls us to promote alternative actions in order to counteract this reality, which we do through our Child Protection Policy. 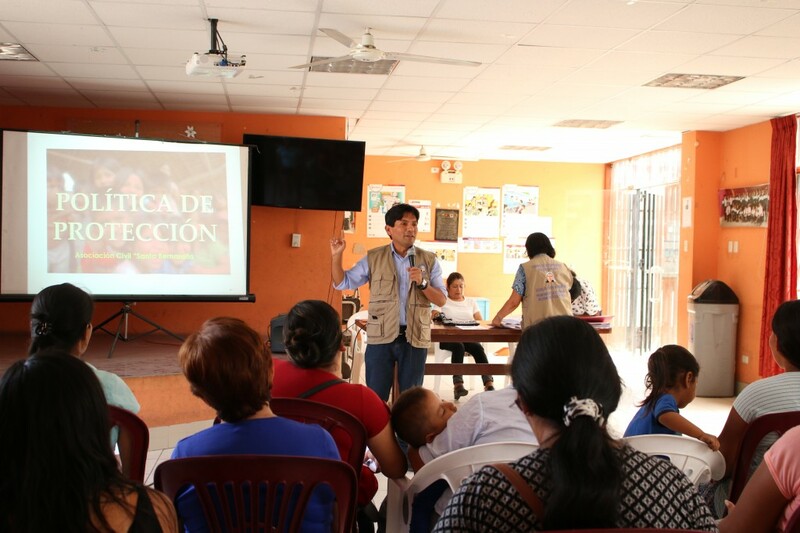 We realize this work in primary and secondary schools, and social and religious organizations, with the aim to strengthen protection mechanisms on the personal, familial and institutional level. We assume the commitment to focus our work in the formation of interested parties in order to improve the vulnerable conditions in which our children live in.